Propriano is located on the west coast of Corsica in the Mediterranean sea. Propriano is a lively, seaside town with restaurants, shops and a picturesque marina and is a populartourist destination in its own right. The ferry company that operates out of Propriano is SNCM ferries with sailings to the South of mainland France and Sardinia. SNCM Ferries operate routes out of Propriano. SNCM has a fleet of 10 ships including cruise ships, cargo and passenger ships and a fast craft. All SNCM ferries have a range of onboard facilities including restaurants, bars and duty free shops. You may also find a games room, a swimming pool and a solarium onboard some ships. 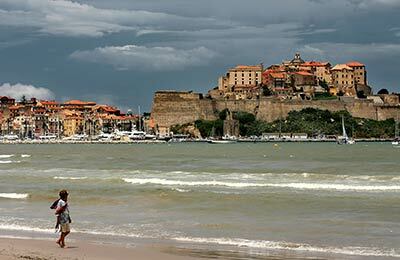 Propriano port is located in the town and Propriano has good transport links to the rest of Corsica. 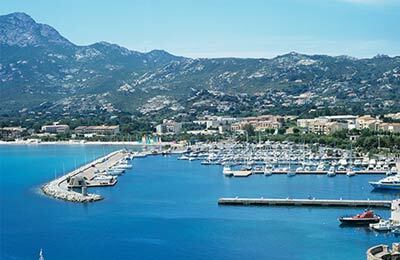 Book your ferry from the beautiful Corsican town of Propriano to France and Sardinia simply and securely with AFerry. Propriano has a full complement of facilities and services available for your pleasure. Propriano is located off the N196. Once you reach the town, signs for the port are clearly displayed and are worth trusting.